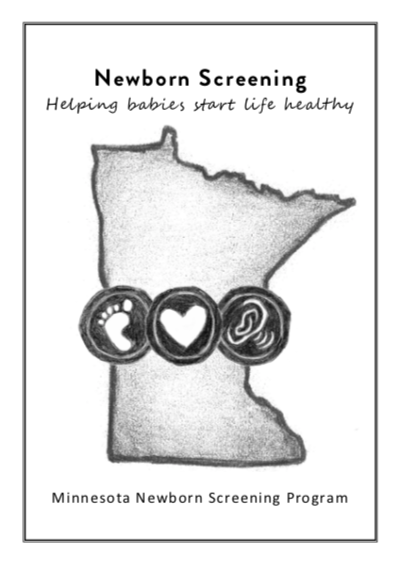 The Minnesota Screening in Amish Communities brochure was developed by the Minnesota Department of Health Newborn Screening Program in collaboration with state-wide midwives, a doula, a public health nurse, and women from one of our Amish communities. The brochure introduces each component of newborn screening, frequently asked questions, and a log for tracking their children's screening results. It is written below a 7th-grade reading level with culturally appropriate sketched graphics. For a personal touch, screening programs may be interesting in following Minnesota's lead, by binding the brochure with a ribbon, though staple-bound copies are also available.